Special Forces and Special Operations offer an option for providing an asymmetric response across the entire spectrum of conflict. An asymmetric response does not automatically imply a physical attack; in most cases, direct action should be only the extreme response. 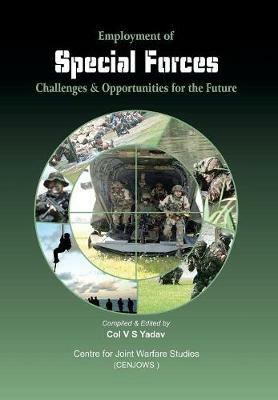 Special Forces are meant to achieve strategic objectives through application of modest resources in a calibrated manner. With an eye on the future, a seminar was held at CENJOWS which was aimed at examining various alternatives for optimal employment of Indian SF, in pursuit of national security goals with a proactive mindset. Various aspects were covered by eminent speakers from India and other countries. This book is based on the seminar proceedings.